Here it is, the book the started it all for me. I was lurking in the art section at Barnes and Noble, looking for something new to try, and I stumbled across Ann's newly published book. My jaw dropped - I couldn't believe the work was from colored pencil. I scurried off with the book, promptly bought a box of Prismacolors, and became hooked. Aside from the excellent step by step instruction presented in the book, the best feature is Ann's skin tone formula. She presents a color list organized by value, instructions on how to make a reference skin tone scale, and a few simple rules for alternating orange, pinks, and yellows. Using this formula, you will produce radiant skin tones. The last section of the book provides some great advice on commissioned work, contracts, and self-promotion. 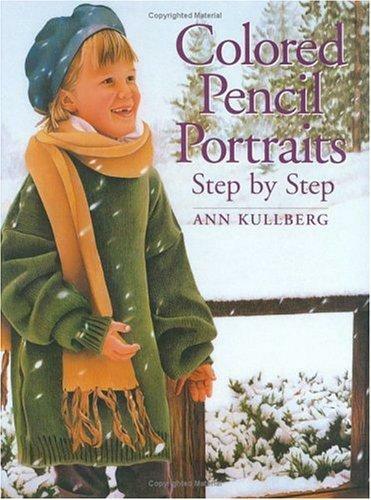 This book was very influential for me - if you look at some of my earlier work (like "Pensive") - you'll see Ann's linear stroke technique, because I initially learned from this book. If you do figure drawings or portraits, this book is invaluable for teaching you how to tackle the tough subject of skin tones.